Become a Happy Camper and feel good! 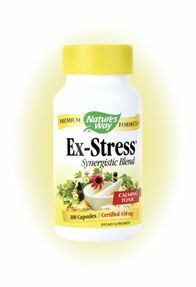 Find relaxation and stress-relief with Natural Balance Happy Camper herbal formula. Sometimes day to day life can get overwhelming and stressful. 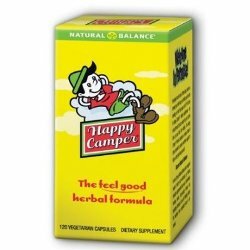 The all-natural herbal ingredients found in Happy Camper are combined to effectively improve relaxation and reduce stress while serving as a gentle mood-lifter. Kava Kava is derived from an Indian pepper and is thought to promote relaxation. Gotu Kola has been used for centuries to reduce fatigue, increase energy, and improve memory and blood circulation. Schizandra fruit has been used to calm frazzled nerves. 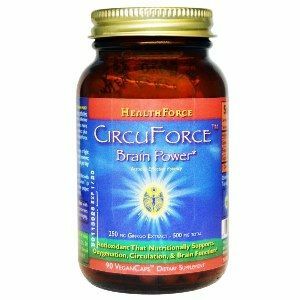 Other herbal ingredients have been added to increase effectiveness. I suffer from mild generalized anxiety and have pretty emotional periods. I often take Happy Camper around those times. For best results, take 1 or 2 a day for about 3 days. Recently I had PMS and a big live performance coming up. I have bad stage fright and this was a huge source of stress for me. This formula really helped get me through (along with a little deep breathing and yoga). Actually, it works wonders but only if you are taking care of yourself in other ways. It's an herb, not a drug right? So use holistically for maximum affect. These work great! I bought the bottle yesterday 8-3-09 and I took one that same day. I felt to good! I was relaxed and stayed in a good mood all day. I have a son who has ADHD and biploar. So sometimes he can be a hand full but I never found myself yelling at him or anything. They were awesome. These happy camper pills work. I'm usually in a happy mood now. I also received a job promotion after taking the pills. I think that you find that your overall ability to handle stress will be better after taking Happy Camper. I am generally more friendly and relaxed on days that I take Happy Camper. Careful with this one. It contains kava kava, which has raised allegations of liver toxicity and liver failure. It wasn't intended for long-term use. Also, gotu kola is a stimulant, and should not be consumed before bedtime. I took myself off of antidepressants after 15years of helping make the pharmaceutical companies rich. Question: does happy camper have any side effects? I aware of any side effects reported. Question: What are the ingredients in happy camper? Question: Is this something that can be taken during pregnancy. I realize it has caffeine but I am trying not to drink or take anti-depressants or anti-anxiety medications. A: Happy Camper is all natural herbal mixture but as with any supplement, it is always best to consult with a physician when introducing new supplements to your routine when pregnant.